I have once again taken pause from my creative writing projects to give voice to issues in my local community that concern me. 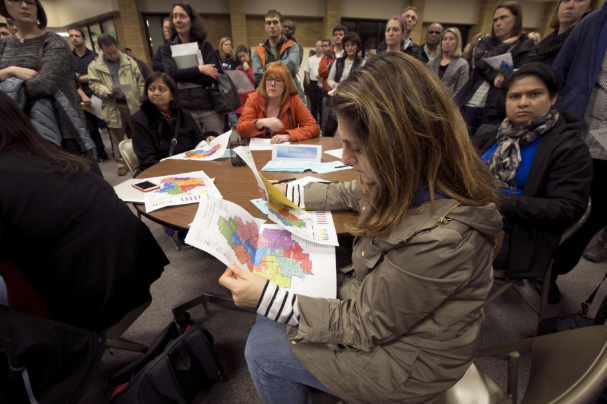 I live in an area within the Beaverton School District that has not been directly impacted by the proposed changes in the high school boundaries. Despite this, I have chosen to deeply engage in the High School Boundary Adjustment Process. I have done so because I care about our community, I care about our school district, and I care about children. In the 14 years that I have been a part of this community, I have enthusiastically supported the Beaverton School District with my time, talent, and tax dollars. I have vocally advocated for this School District by calling, writing, and meeting with state and local elected officials, and I have vocally advocated for this School District to my friends, neighbors, and fellow voters in casual ways and in structured efforts aimed at raising funds and garnering voter support. I am a friend of the Beaverton School District, and there are many times I have been proud of the District's conduct, choices, and outcomes. The High School Boundary Adjustment Process is not one of those times. Although the intentions of the District Administration may well have been good, the High School Boundary Adjustment Process has been mishandled and flawed on many levels. On January 22, 2016, I wrote a letter to you detailing several of my concerns with respect to the chaos and lack of structure at the January 21, 2016 Public Preview meeting, the haphazard nature of public comments admitted into the record at Boundary Advisory Committee meetings, and my general concerns about the conduct and capabilities of the consultant retained by the District. Those concerns remain. I also concur with the additional concerns expressed by a variety of other community members including the issues raised by Mitzi Sandman in her recent communications with the School Board (and related follow-up communication to Maureen Wheeler dated March 4, 2016) and the concerns expressed by Lisa Corcoran in her March 9, 2016 letter to the School Board. *Relieve current and projected future overcrowding with a five-year horizon, and targeting 90% capacity or less. (2) The superintendent applied the relevant criteria. And, "If the objectives were met and the criteria were reasonably applied, the Board shall approve the attendance plan." Under the Boundary Adjustment Process that has been implemented thus far, I do not see how it is possible for the School Board to determine if the objectives were met and/or the criteria reasonably applied. In my view, the Board does not have the information, framework or tools to determine if the objectives were actually met and/or the criteria were applied in a meaningful way. I am of the strong opinion that the Board has no choice but to dis-approve the attendance plan and direct the District to re-start with a new, revised process that takes past oversights and omissions into consideration. 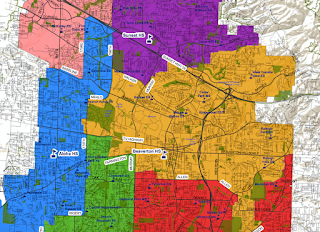 To begin with, the boundary recommendations from the Boundary Advisory Committee are not provided in a format that indicates how they correlate to or address the objectives and criteria. I offer a classroom comparison: When student learning is assessed in our School District, we routinely ask students to provide answers to questions and to "show their work." As noted in my April 4, 2016 communication to Maureen Wheeler (on which you were cc’d), the Boundary Advisory Committee did not operate in a manner in which they “showed their work.” Although the efforts of the Boundary Advisory Committee may have been steadfast and diligent, and although their work may have produced answers in the form of boundary lines, the answers alone are not sufficient. The answers must be coupled with “work shown” in order to reasonably evaluate and assess those answers (i.e. boundary lines). Although the BAC may have applied the criteria in ways that could be deemed meaningful during their private sub-group discussions and huddles, the process did not allow for this to be assessed or evaluated by the general public, or likewise by the School Board. Additionally, when student work is assessed, it is assessed against a standard framework or rubric that can be reasonably applied with similar results from school to school, classroom to classroom and teacher to teacher. In contrast, you have been asked to evaluate whether or not a list of criteria has been reasonably applied, but there is not an agreed upon standard, framework or rubric from which to consider this assessment. Dr. Rose himself has acknowledged publicly that the criteria directly compete and conflict with one another. How can one possibly evaluate whether or not criteria were met if there is no level of distinction as to the priority of the criteria and/or no record of how the criteria were applied in maps that were discarded and/or in the current map proposed? When you look at the various iterations of the maps that have been considered in this process (from the initial Learning Map to the Boundary Advisory Committee’s current recommendation), can you honestly say that you can determine how any one map meets the objectives and the criteria whereas another might not? And if you believe you can make this determination, will you please enlighten me as to how you have done so, because if I were sitting in your chair, with your fiduciary responsibility, I could not in good conscience approve the attendance plan at the present time despite my efforts to remain engaged and informed via regular attendance at BAC meetings, close reading of meeting minutes, and active participation in opportunities for public involvement. If we look at the Boundary Adjustment Process with the lens of an educator, it seems quite logical that the first attempt at this process might be considered a “rough draft,” from which much might be learned and applied to the final, graded draft. Although you might argue that the learnings from the High School Boundary Adjustment Process can and will be applied to the boundary processes for elementary and middle schools, I would argue that those learnings can and should be applied to a revised Boundary Adjustment Process for the high school boundaries. This revised process should begin with a formal debriefing process with the community. Although the Boundary Advisory Committee has had an opportunity to debrief their process and community involvement experience from their vantage point, the community-at-large has not been surveyed about the experience or invited to participate in a formal debriefing process to share insights and experiences from our vantage point. Both vantage points have merit, and both offer an opportunity for the District to learn and improve. Those collective learnings should be applied to a revised High School Boundary Adjustment Process. At a bare minimum, if you do not choose to direct the District Administration to formally seek the public’s input and restart the process, I ask that you insist that District communication refrain from self congratulating about the process. It is insensitive to those who are grieving the loss of something important to them (i.e. an established connection with a particular school community), and it is offensive to those community members such as myself who have observed the process closely and have much constructive feedback to offer. Lastly, I request that you do not dismiss my comments as coming from a disgruntled citizen who simply did not get her own way. My home wasn’t affected by the boundary. My kids’ school did not change. The vast majority of my kids’ friends will not shift schools. I am disappointed with the process because I am disappointed with the process. Suffice it to say, I am displeased with the conduct of my School District at this time. It is my sincere hope that you carefully consider your fiduciary responsibility as you prepare to vote on the proposed attendance plan. I am of the opinion that it will be much easier for you to simply approve the Superintendent’s attendance plan and move on. Yank the bandage, if you will. But I am hopeful that you took on the role of School Board member with an interest in representing our community, our School District, and our voters with a willingness to take a hard stand when necessary. This is one of those times. During the January 19, 2016 School Board meeting, Dr. Rose indicated that there was an established Boundary Adjustment process in place, and he was going to honor and adhere to that process. Much of that process stems on the work of the Boundary Advisory Committee (BAC). It is my observation that the BAC has quickly developed into a cohesive team that is working collaboratively to problem solve with the tools that have been made available to them. Their facilitator, Dr. Withycombe, appears to be doing a fine job facilitating the committee members’ direct interactions. Inconsistency in Allowing Public Comments at BAC Meetings: On the January 7, 2016 BAC meeting, like other meetings before it, the agenda indicated that there would be no opportunity for public testimony. However, during the BAC’s work session, Dr. Withycombe actively engaged with the public. Unfortunately, he did so in a haphazard manner and without any respect or consideration for due process and diversity of viewpoint. Several members of the public did share their frustrations and concerns, but since there was no structure or “process,” only the loudest voices were able to contribute. This violation of public process was exacerbated when Dr. Withycombe legitimized those comments by summarizing them publicly as he prepared to close the meeting. It is not appropriate to officially disallow public testimony, then engage with some of the public in attendance, without due process, and then further legitimize that limited input without also allowing other members of the public the opportunity to make comments in the same venue. Disorderly and Chaotic Structure of the January 21st Public Viewing: I was saddened, disappointed, and frustrated with the structure of January 21, 2016 public viewing meeting. I have participated in many public processes over the years (with cities, counties, transportation departments, park districts, school districts, etc), and I have never been to a meeting that was as poorly managed as this one. I had intended to bring my middle school-aged son to the meeting so that he could witness a public process underway. I am so relieved I did not bring him, because the meeting was an embarrassment to our school district and a disservice to our community. It was an embarrassment not because of the way in which members of the public behaved, but because of the lack of facilitation and structure. I arrived at 5:45 PM in anticipation of the 6:00 PM start time. I picked up a map and demographic information at a reception table, but there were no instructions about how the meeting would be conducted or how to proceed through the room. Community members milled about and waited for the meeting to “open” without any information or instructions from the facilitator (and I use that term loosely). The facilitator, Dr. Withycombe, did not address the public until approximately 6:30 PM. At that time, the Dr. Withycombe welcomed attendees, explained that there were comment cards of differing colors on various tables in the center of the room, and maps throughout the room. He then explained that BAC members would soon be stationed as teams at three different table areas in the room. Community members could proceed to the table of their choosing and wait in line to share their input with a BAC member and turn in their comment card(s) at that time. What happened in reality is that community members collected in crowds around the tables in hopes of waiting for a turn to speak to someone. There were no provisions set up for lines to be formed. There were no provisions set up so that people who were gathered around the table waiting for an opportunity to comment could hear any of the other meaningful comments taking place in line ahead of them. There were no provisions for people with physical needs to sit and still participate in the conversations going on at the tables. There were no time limits set for people who had comments to share. 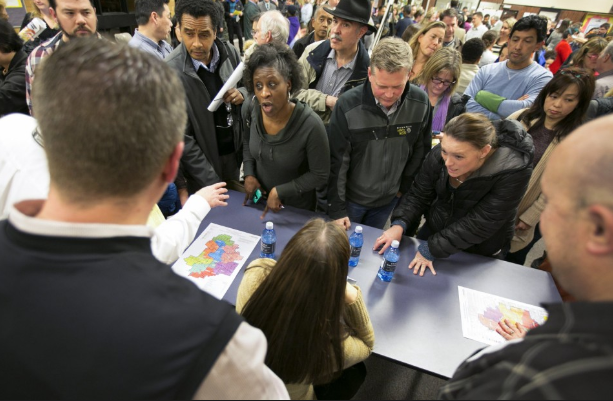 There was not a clear centralized location to turn in forms for community members that didn’t have the patience or energy to work their way to the front of the table areas. I expressed my discomfort with the process to BSD’s communication representative, Maureen Wheeler, and she said, “I’m sorry.” I expressed my concerns to the consultant, Dr. Withycombe, and he offered to take me to the front of the line at one of the tables. That response only amplified my concerns about the illegitimacy of the process. He also suggested that I could go home and wait for the public hearing in 3 1/2 weeks. Dear members of the School Board, no matter how the eventual boundary lines are drawn, some people will be disappointed or even outraged by the results, but to legitimize the decisions that are made, the public process must genuinely invite community engagement, and it must allow for people in the community to feel heard. Sending letters to a public web portal that are never answered, does not satisfy that need. Hosting a disorganized and chaotic public viewing does not satisfy that need. Waiting until a public hearing scheduled near the end of the process does not satisfy that need. Although I am sure that the BAC members did have an opportunity to hear directly from several people, and some community members may have in fact felt “heard,” the structure, or lack thereof, of the January 21st public meeting was disorderly, unsatisfying, and a poor substitute for genuine and meaningful public engagement. This is not a reflection on the members of the BAC; they conducted themselves patiently and professionally. This is a reflection on the person or persons responsible for facilitating the public engagement process. I ask that you acknowledge that the public viewing was not satisfactory, and you hold the Superintendent accountable for providing the community with a legitimate public engagement process that is transparent, meaningful, and professionally facilitated. Dr. Withycombe seems to be an competent and appreciated facilitator for the BAC. The public deserves a similarly meaningful and satisfying public engagement process, facilitated by a community engagement professional. Update: Click here for my April 26, 2016 communication to the Beaverton School District School Board. The only way world change happens is to start with your own neighborhood. Bravo to you for your dedication to your community. Ahoy, thar! 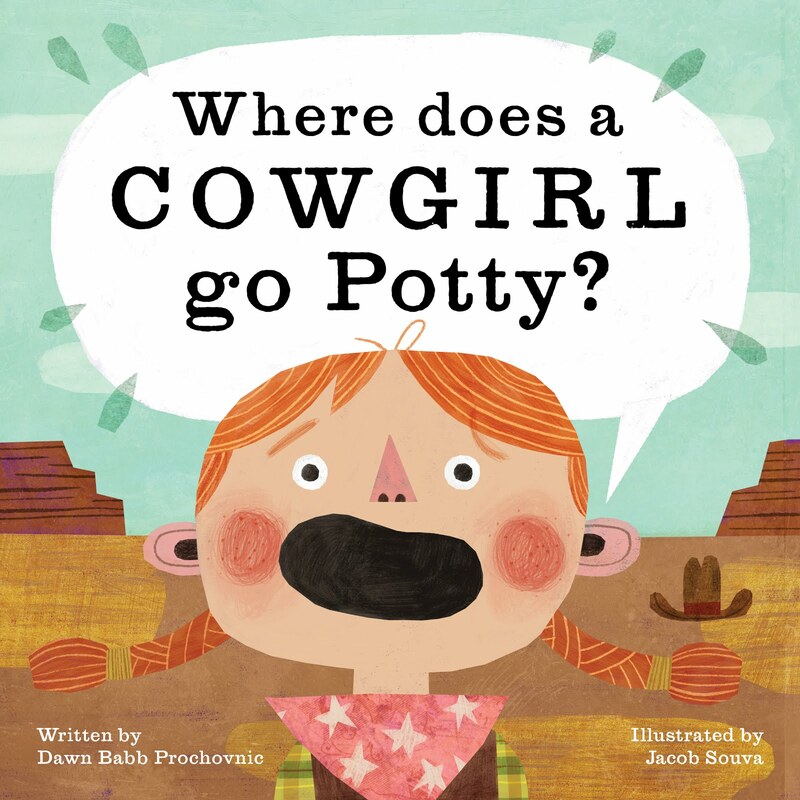 I'm the author of Where Does a Pirate Go Potty?, Where Does a Cowgirl Go Potty? 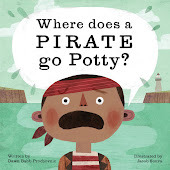 (West Margin Press, 2019) and 16 picture books in the Story Time With Signs & Rhymes series (Abdo Publishing Group). I'm also a contributor to Oregon Reads Aloud (Graphic Arts Books, 2016) and the Founder of SmallTalk Learning. I blog about books, sign language, early literacy, teaching, learning, and the meandering travels of my life. I'm working on new books, so my public appearance schedule has been light. Get information about author visits here. Please contact Dawn using the form below if you'd like to order signed copies of books or schedule an author visit, private class, or special event for your school, library or community group or to inquire about private story times, house concerts, Skype and/or FaceTime visits, or fall book release events! Bookmark this site and check back often, as more public events are added regularly. 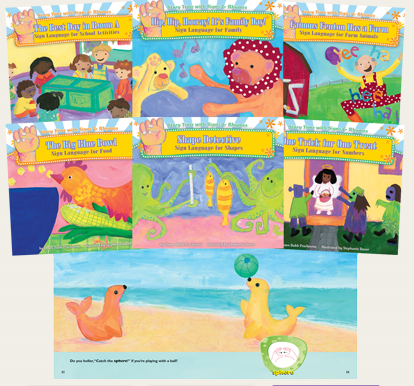 Stories By Hand | American Sign Language fun for everyone! NITA’S DAY now available for preorder! Storytime Line-up: On the Go! Copyright Dawn Babb Prochovnic, 2012-2015. All Rights Reserved. Simple theme. Powered by Blogger.